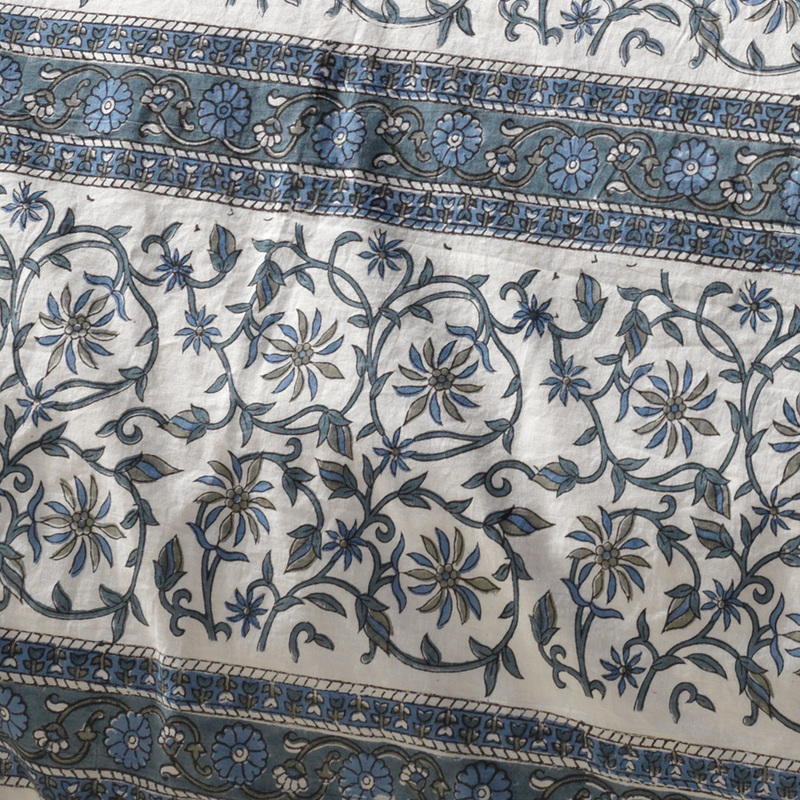 Made from beautifully soft 40s Indian cotton, this fair trade hand block printed duvet set will make a great focal point in your master or guest bedroom. 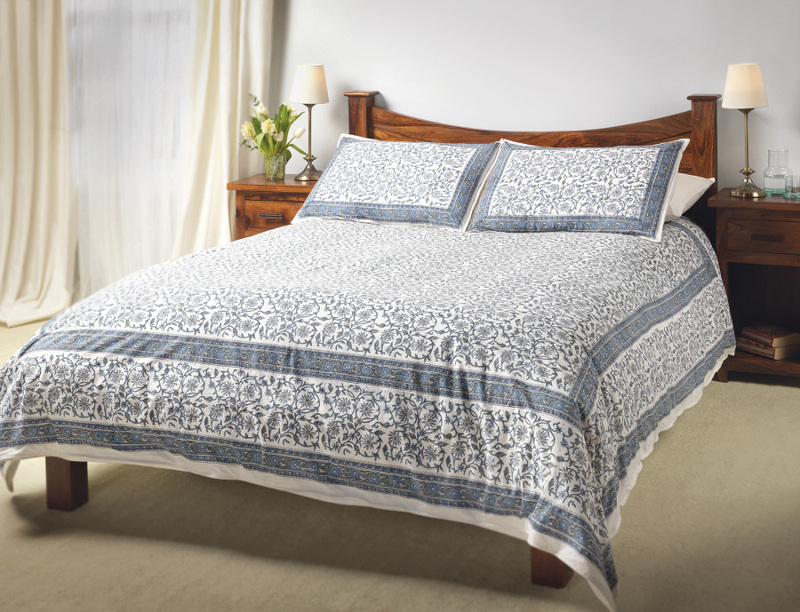 Made in India, the duvet set features a floral pattern on a white background, with a bold blue border around the edges. 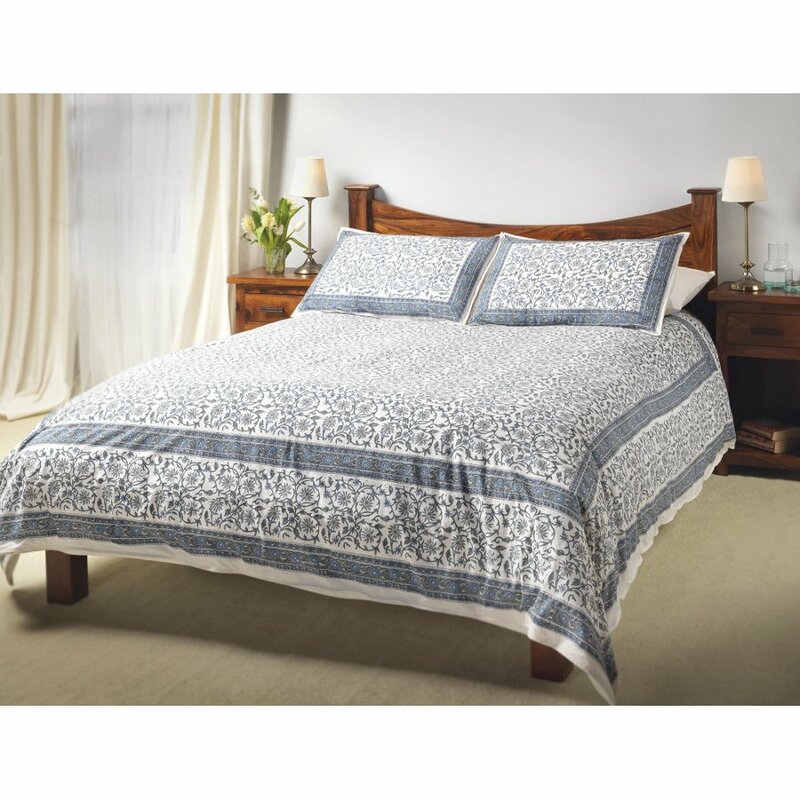 The duvet cover has a button closure along the bottom edge and the set includes two matching envelope close pillowcases. 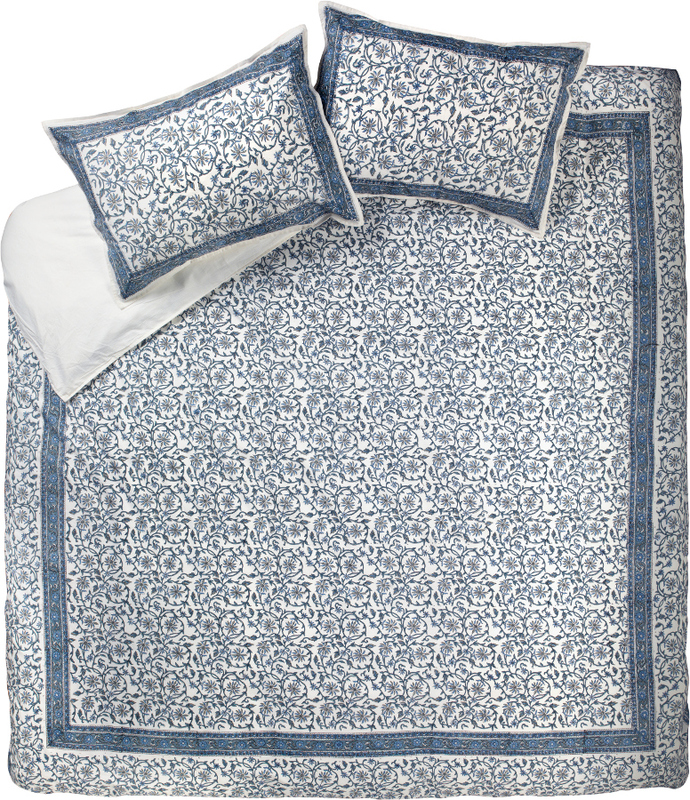 The Blue Jasmine Duvet Cover Set - Double product ethics are indicated below. To learn more about these product ethics and to see related products, follow the links below. 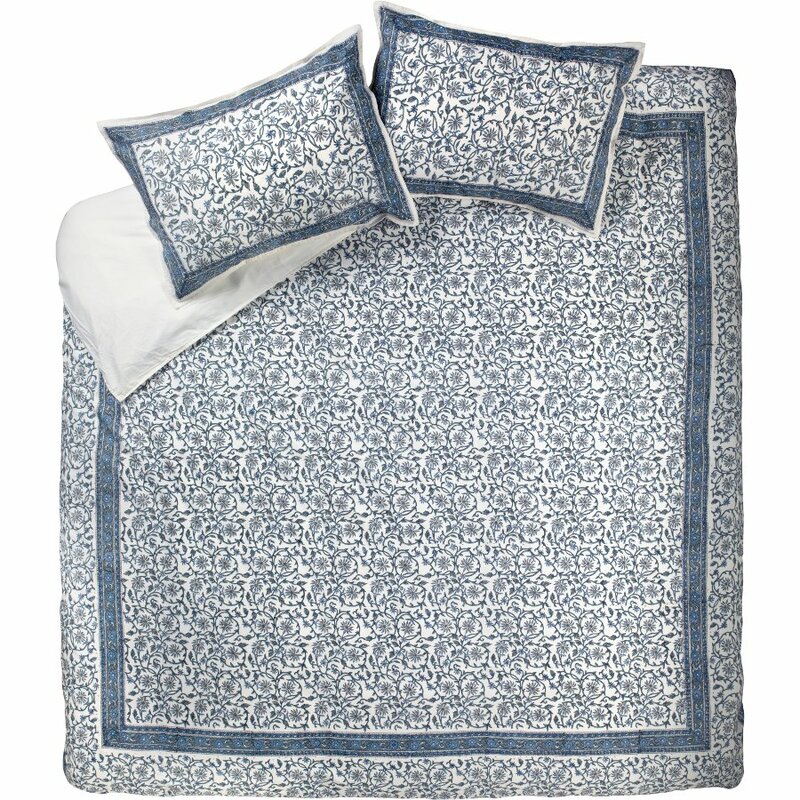 There are currently no questions to display about Blue Jasmine Duvet Cover Set - Double.